(numbered 1, 2, 3, L) and pull the wire out. 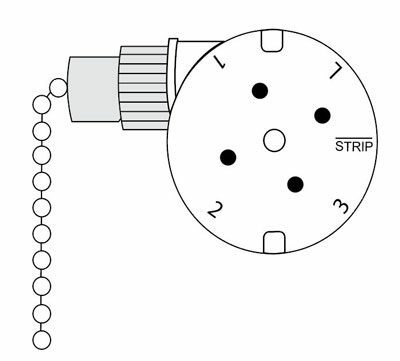 Click here to purchase Zing Ear ZE-208s pull chain switch. To get help with wires codes, you can review our compatibility guide on this link: https://www.ceilingfanswitch.com/ceiling-fan-switch-guide/ (check ZE-208s switch section).